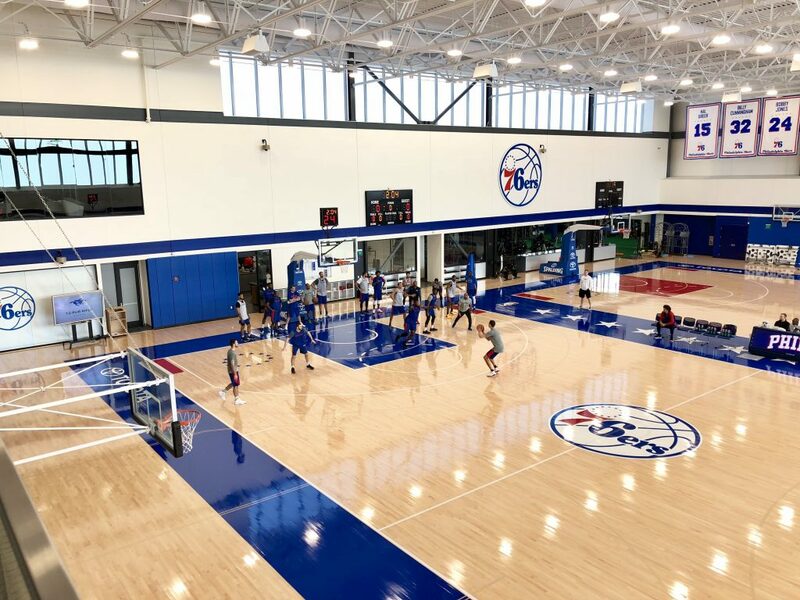 These are the primary buzzwords this week between the padded walls that surround the two red, white and blue-accented courts at the Philadelphia 76ers Training Complex in Camden, New Jersey. 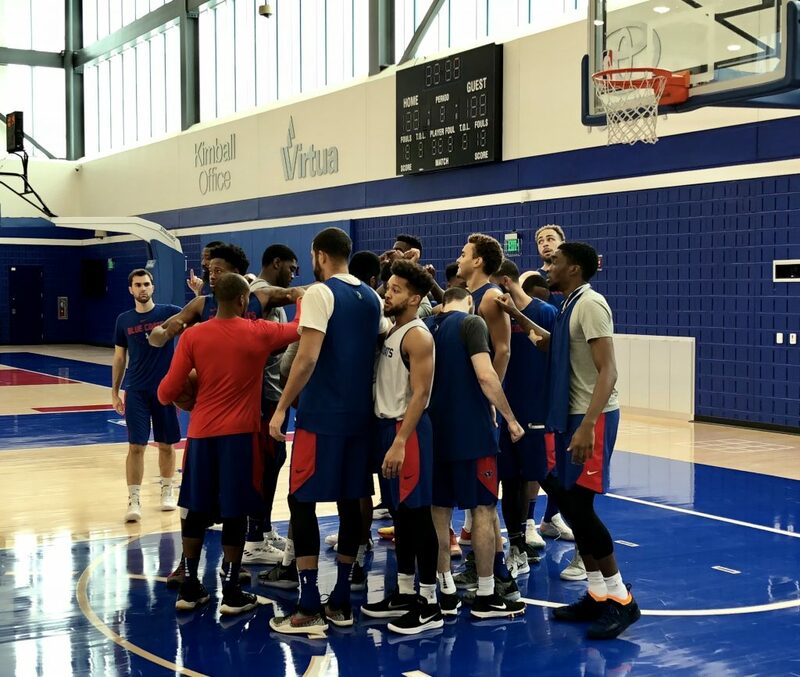 The 76ers were on the road—Joel Embiid and Co. played in Detroit on Tuesday and in Milwaukee on Wednesday, but their home practice courts remained busy. That’s because the Delaware Blue Coats, the NBA G League affiliate of the 76ers, began training camp on Monday evening. It’s an exciting time for the Blue Coats as the team prepares for its historic first season in Wilmington. The team will have a state-of-the-art new home at the 76ers Fieldhouse, as well as some fresh new uniforms. But for first-year head coach Connor Johnson and staff, this training camp period is about building a familiar foundation. Johnson hopes that the mentality he’s creating—one molded by Brown’s example—continues to develop within the G League group. The regular season begins on Nov. 3 in Mississauga, Ontario Canada against Raptors 905. The first home game for the Blue Coats is Nov. 20 at The Center and features an Embiid bobblehead giveaway, while 76ers Fieldhouse Opening Night is set for Friday, Jan. 4. The entire staff, including assistant coach Jason Crafton, understands the head coach’s mindset. Crafton, whose Division II Nyack College (NY) teams produced strong defensive metrics over the past six seasons (11th in the nation in turnovers forced per game in 2016), charismatically instructs the defense for large portions of the training camp practice sessions. Entering Friday, the Blue Coats’ training camp roster consists of 17 players. The league deadline for trimming the list down to 12 names, including the two players on two-way contracts with the 76ers (Demetrius Jackson and Shake Milton), is Nov. 1. The training camp grind continues into next week. With a practice scheduled for Monday and a home scrimmage set for Tuesday, there are a few more opportunities to communicate and give great effort. After Thursday’s practice and interviews came to a close, Coach Crafton re-emerged from a side door between the film room and the training room. He had a little more to say about his scrappy college teams. “We just played extremely hard,” Crafton added.